We want you to have confidence when you buy a pre-owned vehicle from our VW dealership. That’s why every pre-owned vehicle comes with our 5/30 Guarantee Pre-Owned Car Buying Program. You may return and get a full refund on a pre-owned vehicle for five days after you take delivery from us (in state purchases only). Just bring back the vehicle by the end of the fifth calendar day following delivery. The vehicle must be in its purchased condition with no more than 150 odometer miles. Upon return, the Buyer’s Order and any installment sales contract will be rescinded. You will release us from any claims specified in the purchase contract. You will receive a refund from us, via check mailed to your address listed on your Buyer’s Order, within seven days of return (unless more time is needed to verify your payment). We cannot refund any third-party payment you made stemming from the vehicle’s original purchase. The dealer will pay 100% of the labor and 100% of the parts for the covered systems that fail during the warranty period. Ask the dealer for a copy of the warranty, and for any documents that explain warranty coverage, exclusions, and the dealer’s repair obligations. Systems Covered: Engine and Transmission up to $2000 (excludes out of state purchases). $100 deductible. See Dealer for covered components. Duration: 30 days or 1,000 miles, whichever occurs first. 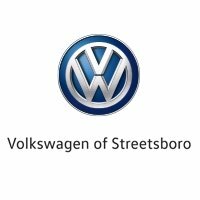 Repairs must be completed or approved by VW of Streetsboro. Our VW dealership is proud to offer high-quality new and pre-owned vehicles. Come in today to check out our inventory and buy pre-owned with confidence, thanks to our 5/30 Guarantee Pre-Owned Car Buying Program. Stop by today!